In 2017 everyone is waxing lyrical about visual content. From video ads to sponsored posts on Instagram, if you have a product — you should probably be selling it with amazing visual imagery! If you’re not convinced that visual content is the medium of the future, check out some of these mind-boggling statistics, courtesy of HubSpot. In a recent study, a group of people were presented with information, then asked about it three days later. Only 10% of people remembered the information. In a different focus group, people were presented with information, but this time it was presented alongside a relevant image. 65% of participants remembered the information (and the image) three days later. In an age where the average attention span has been whittled down to a mere eight seconds, advertisers, brands, and marketers are all locked in a competition to create engaging and memorable content in a world which is saturated with constant ads and imagery. Instagram has become a popular choice for distributing visual content. Instagram users tend to engage with brands at a much higher rate than they do on Facebook, and the simplicity of the design allows brands to tell a story with their product, rather than rely on bulky and boring text. But once you have your ad, how much is it going to cost to promote it on Instagram? That was the question asked by AdEspresso. 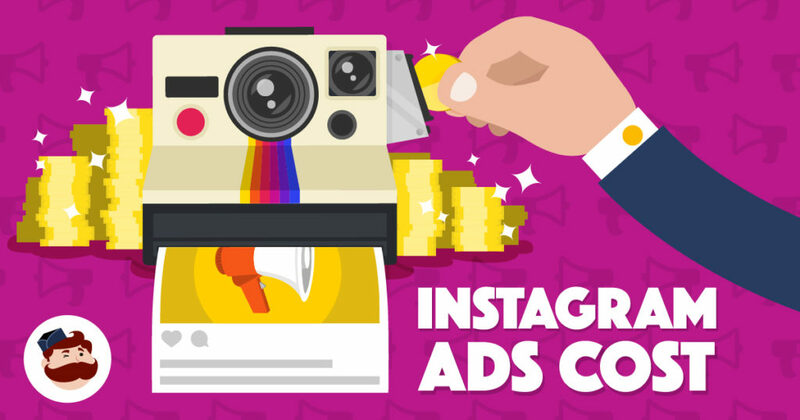 Keep scrolling to read their findings in this infographic that breaks down the question, how much do Instagram ads cost?